Thanks very much for your interest in Say It Forward. 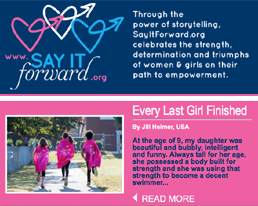 Working with a group of truly amazing friends, I launched SayItForward.org with the goal of encouraging women & girls to share stories that highlight their breakthroughs in realizing how truly amazing they are. THANK YOU for visiting the site! 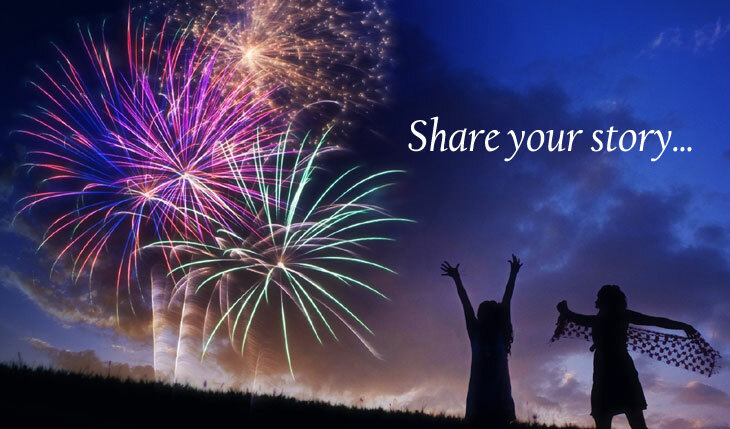 I hope you will decide to share your story and encourage others to do so as well. For two years now, Yodit Kifle Smith has worked with me in encouraging women & girls to recognize that their unique stories deserve to be told. I am grateful to Yodit for her excellent work and her commitment to the power of storytelling. I also celebrate the terrific group of people have enthusiastically and generously provided advice, guidance and expertise in the launch of SayItForward.org. I express my sincere thanks and deep gratitude to them. You can reach me via e-mail at Sharon@SayItForward.org or chat with us on Twitter, Facebook and Instagram.